Be the first to hear about their new releases and deals. Download the Booksprout app and search for Caroline Bell Foster today! When I described myself to my friends I called myself an introvert and they laughed so hard I should really be offended! 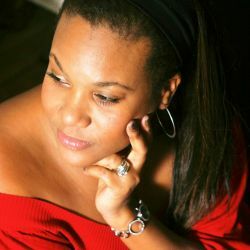 I am an Amazon bestselling, multi-award-winning British author, of diverse romantic fiction and named as one of the most influential people in Culture & Entertainment in the East Midlands, and listed in the Top 100 Most Influential Creatives in Europe. Although born in Britain, I’d spent my formative years mostly in the Caribbean with a long detour through North America and Africa. I married my college sweetheart David, and we have two amazing kids, although we’re ruled over by Nay Nay Boo the cat. I've come full circle and live in Nottingham, just 12 miles from where I was born. With themes of substance, my latest novels' defy convention and celebrate modern day Britain with several titles set primarily in the East Midlands, where I share my love for the three main cities and the surrounding ‘shires’ with my readers.